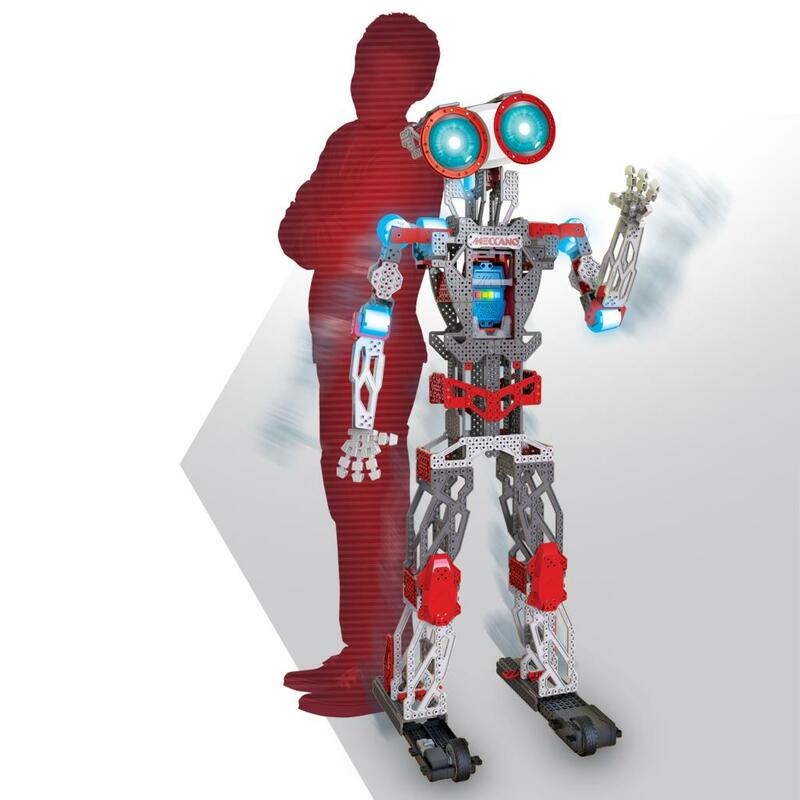 Meet your personal robot Meccanoid XL 2.0! 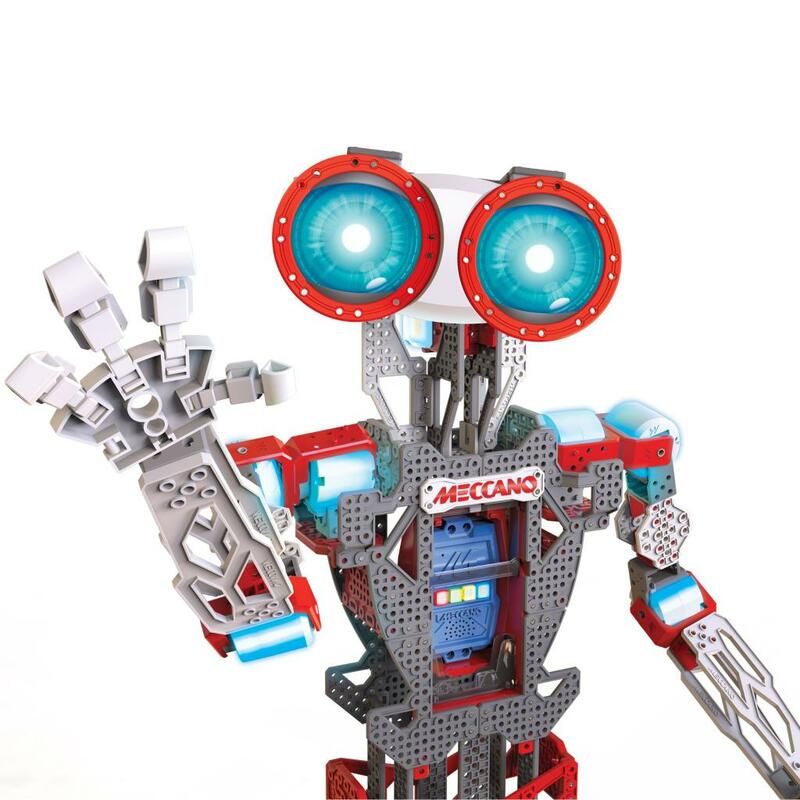 Build Meccanoid 4ft tall with the included real tools and durable plastic pieces. 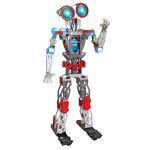 This personal robot features 10 motors for realistic movement, LED eyes with over 500 colors, and voice recognition. 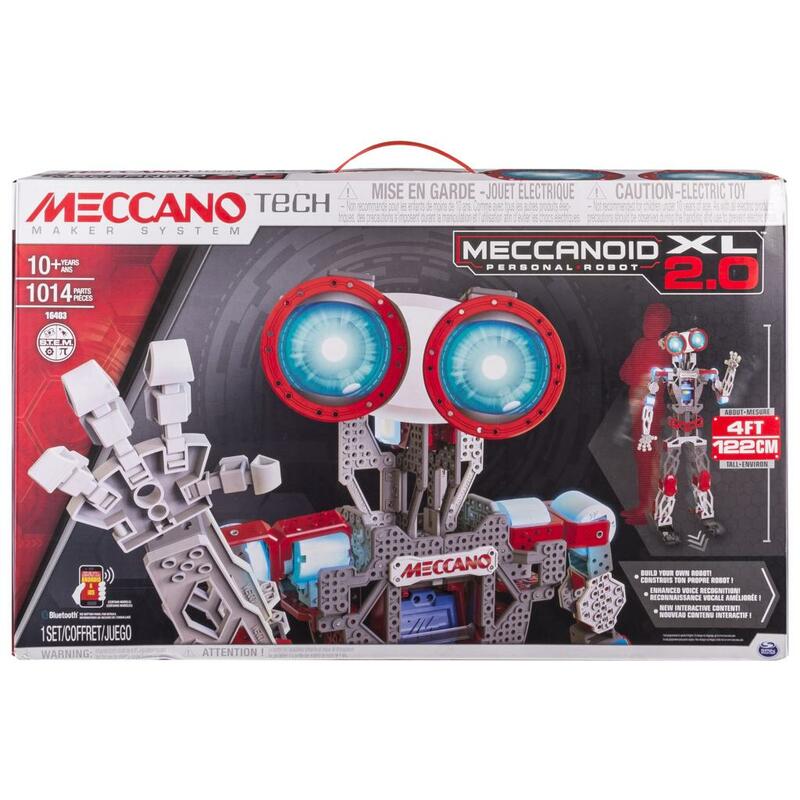 Meccanoid XL 2.0 has 3 innovative ways to program: Learned Intelligent Movement, Ragdoll mode Drag and Drop programming on a smart device (device not included). Plus, Meccanoid knows over 3000 pre-programmed phrases, tells stories, and knows robot trivia. Meccanoid XL 2.0 is your new robot best friend! 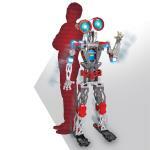 Build your personal robot about 4ft tall, with articulating head, arms and motorized feet. 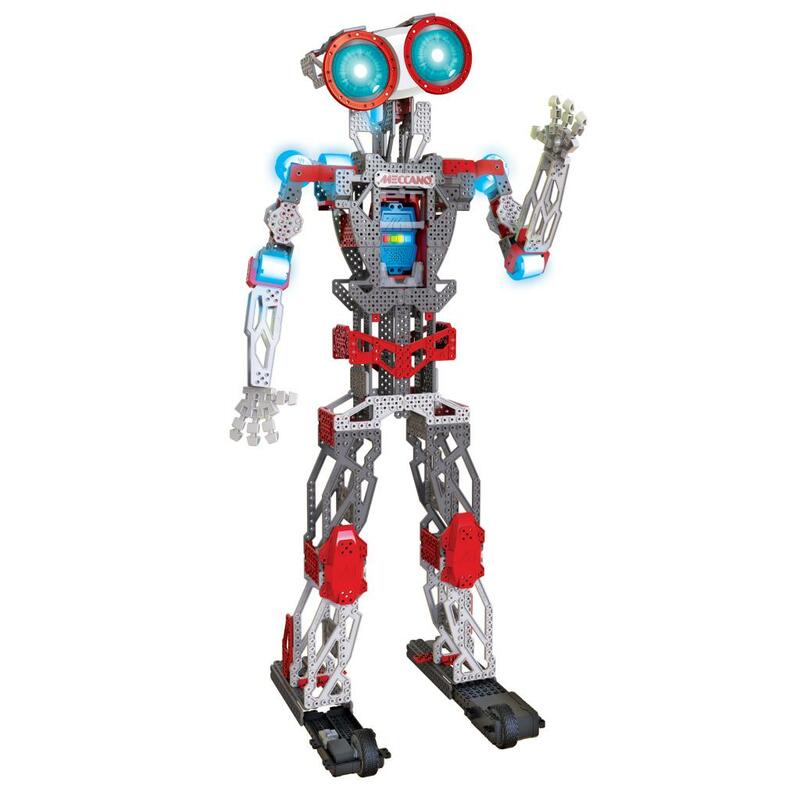 Your new robot friend features voice recognition, LED eyes, and smart device communication. 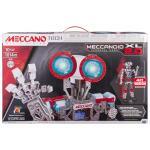 Meccanoid XL 2.0 is for ages 10+ and requires 1 Ni-MH 1800 mAh battery (included).